Beatrix Potter's name has delighted adults and children for nearly a hundred years, thanks to the magical world of animals she created from her Lake District home. Whether for gifting or for that special little someone at home, enjoy the appeal of classic Peter Rabbit. 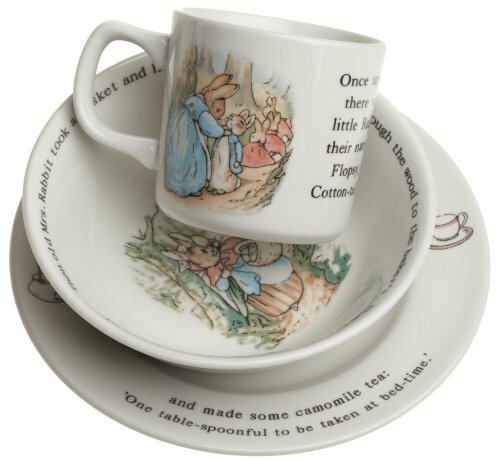 This Peter Rabbit Set by Wedgwood features a Mug, plate and Bowl with the Original Peter Rabbit Artwork.